All kidding aside, as really, everyone associates German speakers with humor, Goodnight Mommy, or Ich Seh, Ich Seh (“I see” literally, but referring to the children’s game of “I Spy”) is a shot to the liver. It’s without question, one of the most uniquely disturbing and innovative horrors you’ll ever see. Killer kids are nothing new (Children of the Corn springs to mind in the first scene, as the monozygotes run through the stalks in a nearby field), but the psychological terror inflicted by this identical twosome make Damien from The Omen look like a model son. Twin boys, Elias and Lukas, are young mop-tops whose favorite song is “Weisst du wieviel Sterne” (“Do you know how many stars there are?” and not “Go to Sleep, Go to Sleep,” Brahms’ Lullaby, as suggested by other reviewers). Their mom is convalescing, or trying to at least, recovering from facial surgery that has her visage wrapped up in bandages. And according to the young duo, mama’s not as she seems, physically nor in how she interacts with the boys. She pours juice only for one, addresses one who relays messages to the other, and cooks only for one. She tells one to shun the other and to repeat this cold-hearted injunction so that it takes hold. The once doting divorcee has a dating profile, is surreptitiously selling the family’s stunning home (bubble chairs hang from the ceiling and the place’s decor is the stuff of Ikea nightmares) and appears physically different as well. And she’s prone to flying off the handle, locking the boys in their room, jumping on them, and abusing them to the point where they fashion a shank out of a wooden pencil to use as a missile for a crossbow. 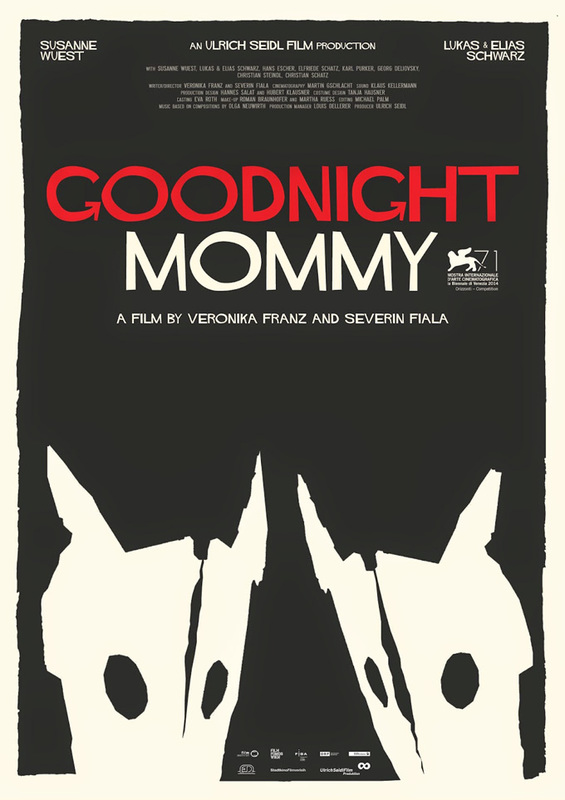 Goodnight Mommy is a slow burn – fire even being a prominent feature of the film (the young duo are pyromaniacs who burn bugs with magnifying glasses). The performances are off-the-charts, and the Mise-en-scène juxtaposes Teutonic orderliness / Architectural Digest (the mom reads copies of Hauser magazine) with the chaos within the home’s walls. The twin direction, if you will, of Veronika Franz and Severin Fiala, is stellar. There are even a few uncomfortable laughs, particularly in a scene involving overly earnest, folksily-accented Red Cross solicitors, whose appeal for donations couldn’t come at a worse time. A tentative start rewards viewers patient enough to be assaulted by the finish. The horror genre is alive and well if you know where to look. It seems of late it’s Western Europe, and it’s nice to see another country other than France keeping the embers burning. This entry was posted in Horror and tagged 2010s movies, Supernatural by Really Awful Movies. Bookmark the permalink.